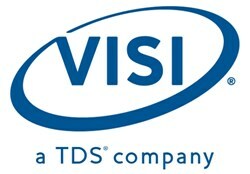 VISI Inc., a premier provider of data center solutions, today announced it has attained a Microsoft Gold Hosting competency. This achievement demonstrates VISIs best-in-class ability and commitment to meet Microsoft Corp. customers evolving needs in todays dynamic business environment and distinguishing itself within the top one percent of Microsofts partner ecosystem. This Microsoft Gold Hosting competency showcases our expertise and commitment to todays technology market, said Terry Swanson, CEO of VISI. It also demonstrates our deep knowledge of Microsoft and their products. We plan to use this comprehension and commitment to accelerate our customers success and will continue serving as technology advisors for their business demands. To earn a Microsoft Gold competency, partners must successfully complete Microsoft exams to demonstrate their level of technical expertise. Companies must also submit customer references which detail successful projects, perform yearly customer satisfaction surveys and meet revenue commitments. Through achievement of this competency, VISI will leverage their knowledge and provide support to customers using many of the colocation and managed services solutions in their world class data centers. This achievement demonstrates VISIs commitment to staying current with the latest applications and systems used by their customers. For many customers, VISI is their outsourced IT provider, enabling them to focus on their core business competencies and their customers. By achieving a gold competency, partners have demonstrated the highest, most consistent capability and commitment to the latest Microsoft technology, said Jon Roskill, corporate vice president, Worldwide Partner Group at Microsoft Corp. These partners have a deep expertise that puts them in the top one percent of our partner ecosystem, and their proficiency will help customers drive innovative solutions on the latest Microsoft technology. Attaining the Microsoft Gold Hosting competency is exclusively for partners, such as VISI, who specialize in hosting solutions and maintain their own data centers, providing agreed-upon service levels and customized hosted offerings and consulting for common customer scenarios. Equipped with exclusive training, the latest software and support, partners help customers offset the cost of maintaining critical business applications with scalable hosting solutions. STEALTHbits Technologies, a leading provider of IT compliance, security, and operational management solutions for the Microsoft computing platform, today announced it has attained a Gold ISV competency, demonstrating a best-in-class ability and commitment to meet Microsoft Corp. customers evolving needs in todays dynamic business environment and distinguishing itself within the top 1 percent of Microsofts partner ecosystem. Achieving the Gold ISV competency serves as a dual distinction for both our customers and partners that we are among a select group assuring our commitment to Microsoft technology stack resulting in exceptional products. STEALTHbits portfolio of solutions including the StealthAUDIT Management Platform and StealthINTERCEPT are unparalleled providing the visibility into Active Directory, unstructured data repositories, like the file system and SharePoint, and other key infrastructure components for SQL Server databases, Microsoft Exchange and beyond. STEALTHbits is constantly looking towards the future to ensure our products and solutions are in line with industry trends that meet the needs of our customers and partner network. This Microsoft Gold ISV competency showcases our expertise in and commitment to todays technology market and demonstrates our deep knowledge of Microsoft and its products, said Adam Laub, vice president, global product management. We plan to accelerate our customers success by serving as technology advisors for their business demands through our unparalleled expertise in the management of Microsoft solutions. By achieving a gold competency, partners have demonstrated the highest, most consistent capability and commitment to the latest Microsoft technology, said Jon Roskill, corporate vice president, Worldwide Partner Group at Microsoft Corp. These partners have a deep expertise that puts them in the top 1 percent of our partner ecosystem, and their proficiency will help customers drive innovative solutions on the latest Microsoft technology. 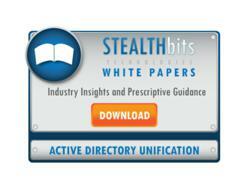 As a member of the Microsoft Partner Network, customers can access STEALTHbits solutions for Data and Access Governance, Active Directory and Exchange enabling organizations of any size to perform critical tasks associated with achieving a unified security model, clarity in access, increased performance, and reduced overhead they desire. The highly flexible and comprehensive nature of our products and solutions provide our customers and partners with a single tool to use across multiple platforms and applications. STEALTHbits Technologies, Inc. enables IT Control Through Visibility offering the industrys most comprehensive platform for visibility into IT security, compliance, and operations. Built from the ground up, STEALTHbits solutions extend across the IT landscape into technologies such as Active Directory, File Systems, Exchange, SharePoint, SQL Server, and more to provide deep insight into the health, operations, and security of the environment. STEALTHbits unparalleled expertise in the management of Microsoft platforms, unstructured data, and access intelligence combine with its suite of innovative solutions to help organizations of all sizes perform critical tasks associated with achieving a unified security model, improved performance, and reduced overhead. Learn more at http://www.stealthbits.com and follow STEALTHbits on Twitter. For more information, visit http://www.stealthbits.com/ or email sales(at)stealthbits(dot)com or call +1-201-447-9300. STEALTHbits and StealthAUDIT Management Platform and StealthINTERCEPT are registered trademarks of STEALTHbits Technologies, Inc. The STEALTHbits logo and all other STEALTHbits product or service names and slogans are registered trademarks or trademarks of STEALTHbits Technologies, Inc. All other trademarks and registered trademarks are property of their respective owners. Grand Rapids based Data Strategy LLC, a leader in Business Continuity, End User Computing and Cloud Computing, announced today it has achieved Signature status, the highest level of EMCs Velocity Partner Program. This makes them the first and only partner headquartered in Michigan able to demonstrate the technical expertise and knowledge required to achieve Signature status. Achieving Signature status demonstrates the commitment Data Strategy has made to provide the highest level of technical expertise and skill set to our customers, said Gregg DeWitt, President of Data Strategy. Gregg also stated, "We take great pride in being the experts in our core competencies of Business Continuity, Desktop and Application Virtualization and Cloud Computing, providing end-to-end solutions from planning and design to implementation and on site support. About Data Strategy - Data Strategy was formed with a single focus; to provide clients with the ability to effectively manage their data, while controlling the costs resulting from server and data growth. As cloud experts, Data Strategys competencies are concentrated around Business Continuity, End User Computing, and Cloud Computing. Through successful projects across many different industries including healthcare, education, financial services, manufacturing, government, and retail; Data Strategy demonstrates the experience that qualifies them to deliver tailored solutions to support your organization's unique private and hybrid cloud requirements. From solution design to comprehensive implementation and support, partnership with Data Strategy helps to satisfy critical business objectives and achieve your desired technology outcomes. Data Strategy is headquartered in Grand Rapids, Michigan with offices in Grand Rapids, Troy and Indianapolis and can be found at http://www.data-strategy.com. At the AGM of the 'Sun Surf N Stocks' Investment Club out going president Dave Simpson from Nambour gave a glowing report of the progression of the clubs trading account as well as the personal trading of its members. Mr Simpson attributed much of their success to The Stockmarket Club's http://www.stockmarket.ticnau.com support and monthly stock watch service that the club and its members use for trading. Mr Simpson went on to state that because http://www.stockmarket.ticnau.com do the hard work (the research) each member's workload is limited but the results speak for themselves. Each member receives monthly stock list of potential trades? During the month http://www.stockmarket.ticnau.com also send updates in charts form with other possible trades showing entry points? The club is currently trading the following stocks for the returns listed and Mr Simpson anticipates that future will be as impressive. Mr Simpson thanked http://www.stockmarket.ticnau.com for the previous year and agreed to continue with their services. Take the guesswork out of the stock market -- start profiting today. Orion Systems Integrators, Inc., today announced it has achieved two Silver competencies: Web Development and Portals and Collaboration, demonstrating its ability to meet Microsoft Corp. customers evolving needs in todays dynamic business environment. To earn one or more Microsoft silver competencies, partners must successfully demonstrate expertise through rigorous exams, culminating in Microsoft certifications. And to ensure the highest quality of services, Microsoft requires customer references for successful implementation and customer satisfaction. Orion is a globally recognized award-winning organization that for nearly two decades has developed, integrated, deployed and managed IT services and solutions for leading organizations across the world. Orions global network allows them to provide cost effective delivery of technology solutions through flexible sourcing strategies onshore, offshore and near shore. With seven offices spanning four continents Orion guarantees the highest quality of service regardless of the mix, technologies and locations. The Microsoft Silver Competencies in Web Development and Portals and Collaboration showcase our expertise in todays technology market and demonstrates our knowledge of Microsoft and its products, said Sunil Mehta, President & CEO of Orion. Our plan is to accelerate our customers success by serving as technology advisors for their business demands. By achieving one or more silver competencies, organizations have proven their expertise in specific technology areas, placing them among the top 5 percent of Microsoft partners worldwide, said Jon Roskill, corporate vice president, Worldwide Partner Group at Microsoft Corp. When customers look for an IT partner to meet their business challenges, choosing a company that has attained Microsoft competencies is a smart move. These are highly qualified professionals with access to Microsoft technical support and product teams. Orion Systems Integrators is a global Information Technology resource dedicated to delivering IT services and solutions that are on target, on time and on budget. Leveraging their vast experience and a "whatever it takes" work ethic, they deliver IT solutions tailored specifically to individual client requirements in a manner that consistently exceeds expectations. Orions elite team of professionals is dedicated to finding the most effective and cost-efficient solution to any IT need. Orions strength lies in our focus and commitment to delivering excellence through their core competencies of application development, cloud computing, mobile solutions and global IT staffing. ITW Trans Tech (http://www.itwtranstech.com), a leader in industrial product decorating systems and consumables, is proud to announce that their quality management system has been certified to ISO 9001:2008 standards through AudIT3 LLC. This achievement is an important milestone as it brings the organization another step closer to its corporate goals. The company aims to provide the most superior quality products and services through a process of continual improvement. This certification is the first for a United States manufacturer of pad printing equipment. "During the process of becoming ISO 9001:2008 certified, we strongly believe that ITW Trans Tech, as a company, has gained in value." states Bob Hitchcock, General Manager. "Our employees have put forth a tremendous effort in becoming familiar with the ISO requirements as well as the commitment and dedication shown in the comprehensive review of our quality systems. We are proud of the excellent teamwork displayed by our employees to make this event happen." The quality system, as defined by the ISO certification, will enable ITW Trans Tech to provide customers added value in their products and services. ITW Trans Tech is progressing strongly with a culture of continuous improvement. Founded in 1979, ITW Trans Tech designs, fabricates and supplies pad printing, laser, and digital printing equipment to provide complete product decorating solutions for a wide range of industries. A division of Illinois Tool Works (ITW), the company offers a full line of standard equipment as well as custom automated systems to manufacturers of medical devices, automotive components, sporting goods, appliances, hand tools, communications, and plastic injection molders. ITW Trans Tech provides a single source of consumables, including: silicone pads, printing plates, standard and specially formulated inks, and other printing supplies and accessories. The company continuously supports its products and customers with the largest experienced team of service experts in North America. The Metropolitan Technology Services Group (MetroTech) http://www.metrotsg.com an Information Technology product and services company, has received national certification as a Women Business Enterprise (WBE) from the National Women Business Owners Corporation (NWBOC). NWBOC’s national standard of certification is a meticulous process and is designed to confirm that a business is at least 51% owned, operated and controlled by a woman or women. “The NWBOC certification adds to the WBE certification recently received from the Women’s Business Enterprise National Council (WBENC). As a result, MetroTech is now certified Women Business Enterprise (WBE) by the two largest independent certifying organization in the country and as a result should position us to participate in all corporate and government supplier diversity programs” said Jennifer Connolly, President of MetroTech. The Metropolitan Technology Services Group, LLC is certified women owned and operated regional IBM Business Partner with offices in New York, New Jersey, Philadelphia, Connecticut, and Massachusetts. MetroTech seeks to understand the strategic goals of its customers as well as the specific challenges faced by its customers IT executives. MetroTech’s highly trained sales and technical teams combine the right people, partners, technologies and methodologies to deliver IT solutions that are relevant to its customers and address the current economic conditions. MetroTech's comprehensive offerings make it a solid partner for its clients IT needs. For more information, visit the company's Web site at http://www.metrotsg.com. The National Women Business Owners Corporation (NWBOC) is the nation’s first women business enterprise certifier. NWBOC provides a national certification program for women owned business. The certification called Women Business Enterprise (WBE) certification ensures that a private for-profit company is truly owned and controlled by a woman or women. Britestream Networks, a leading provider of hardware-based data privacy technology, has achieved Ready for WebSphere validation from IBM (NYSE: IBM). Britestream has integrated its 100% SSL offload solution with IBM’s WebSphere portal application to bring a new level of security, protection and performance for mission critical deployments. For applications built on IBM WebSphere, Britestream hardware technology offers hardened security while improving application response time by offloading 100% of SSL processing. The Britestream solution removes all barriers and penalties to deploying—and ensuring—secure exchange of information. With Britestream’s solution providing fortified security while handling up to 10,000 SSL transactions per second, highly secure web-based applications built on WebSphere can have SSL security on by default with no performance penalty. WebSphere Portal contains the widest range of portal technologies that help users develop and maintain first-class B2C, B2B and B2E portals. It also helps provide a quicker return on investment by improving operational efficiencies while accelerating the deployment of content, applications and processes. Britestream Networks provides plug-and-play SSL security NICs or ASICs that deliver a unique combination of powerful simplicity, un-compromised performance, and fortified security. Delivered in an industry-standard Ethernet NIC, Britestream’s patented in-stream TCP/IP processing engines eliminate the need for network integration and provide 100% CPU offload. With sensitive information stored in hardware, Britestream solutions are tamper-proof. From existing applications such as servers, load balancers, firewalls, and content switches to fast-growing emerging applications such as SSL VPNs, XML/Web Services, and secure e-mail gateways, Britestream’s board and chip solutions remove all barriers and penalties of ubiquitously deploying security. This is Internet security as it is meant to be. Automatic. Easy. Everywhere. For more information, visit: http://www.britestream.com.